Original and creative chalkboard sticker that can go anywhere in your home. The ace of hearts wall sticker is perfect for poker and blackjack lovers. Use the ace of hearts to write and draw on when you play games or need to remember things. An ace of hearts always adds decoration to wherever it is placed. If your children love drawing on the walls then treat them with this fantastic design that will prevent your walls being ruined! 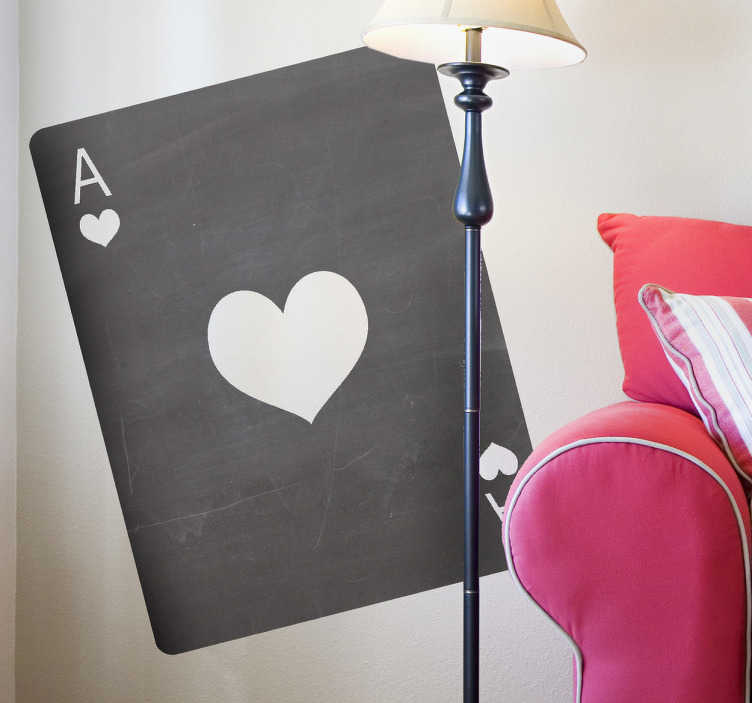 This ace of hearts blackboard sticker is easy to apply and leaves no residue on removal.